Weddings held in Cocoa Beach, Daytona Beach, Clearwater / St. Petersburg, or anywhere in Central Florida may experience rain showers, but they are usually short-lived and move out quickly. We are unique in our location because we lie within two climatic zones where weather usually avoids extremes. 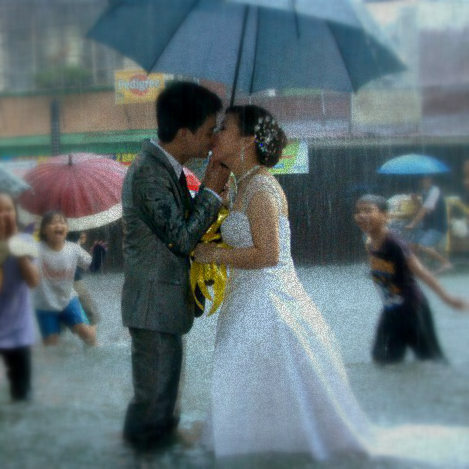 Better Together Weddings will always do whatever we can, though, to accommodate the not-so-perfect conditions. Waiting it out is our first course of action. 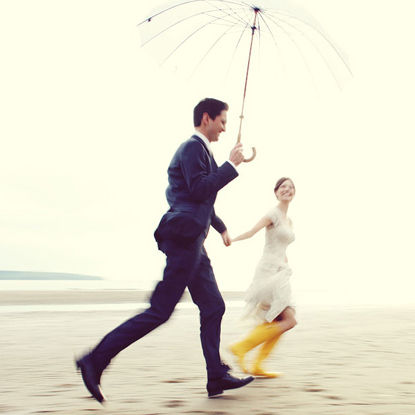 Couples are asked to have a backup in case of inclement weather…this can include securing your reception space for the ceremony if need be, renting a hotel conference room or even renting a tent to be placed on the beach or in the park or gardens. And last, we don’t mind standing in the rain with you if that is what you prefer. Of course, we will have to make provisions for the decorations and electronic equipment, but we will do our best if you decide that it doesn’t matter what Mother Nature throws at you, you will cherish the day nonetheless. The weather doesn’t have to affect your Cocoa Beach wedding, and any other of our Central Florida ceremonies. Together we will find a solution and will not leave you hanging…your beach or lake wedding, commitment ceremony or vow renewal will be beautiful no matter the weather situation. This we promise. I just want to say I am new to blogging and site-building and absolutely liked you’re page. Most likely I’m going to bookmark your blog . You actually come with beneficial writings. Many thanks for sharing your webpage.